“While searching for the perfect ring, I quickly found myself overwhelmed with the endless options and unsure of every possible choice of metal, type of stone, cut of diamond, durability, and of course, price. We ended up with a ring that we all loved, and I couldn't be any more appreciative of Carly and her professional approach. “Carly walked me through every detail and step, from concept to final ring. She was warm, receptive, and caring to my ideas, but brought her expertise. 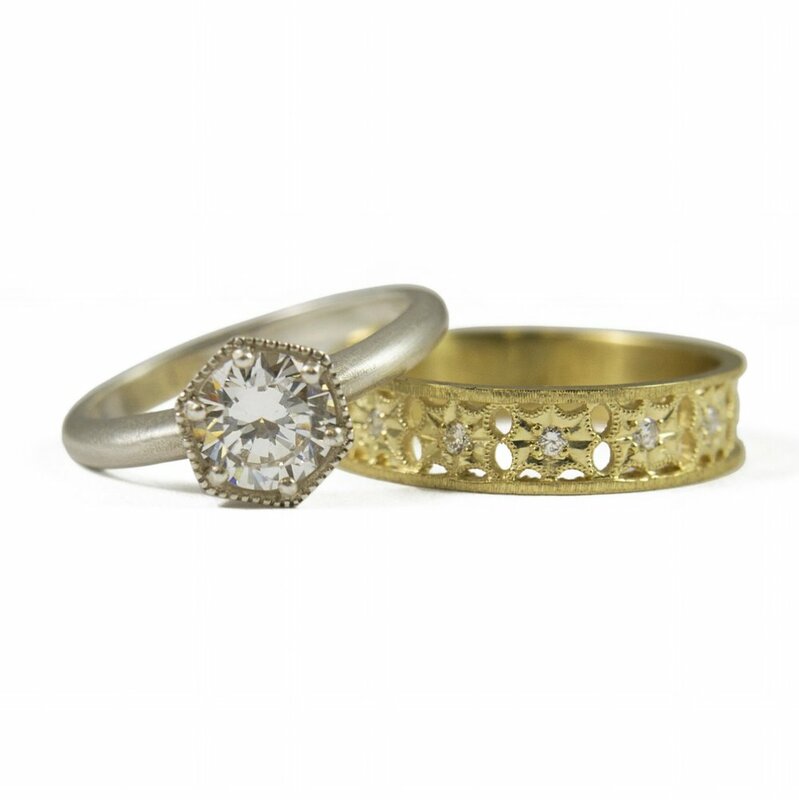 I wanted to incorporate heirloom diamonds from my grandmother’s wedding ring. This was an emotional process for me, and Carly was incredibly patient and kind. I could not be more proud of the outcome. Thank you, again, Carly! Sign up to receive fun updates from Flux!